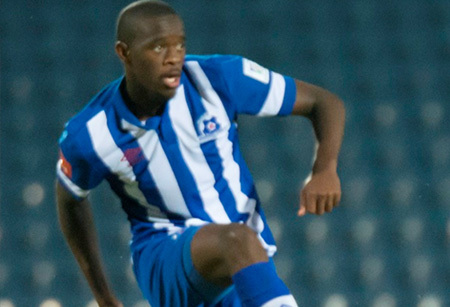 Maritzburg United FC defender Kwanda Mngonyama received the news today that he has been called up for national duty with Bafana Bafana, as they prepare to battle it out in the Afcon qualifiers against Congo, away and at home on Saturday the 11th of October 2014 and Wednesday the 15th of October 2014, in Congo and South Africa respectively. Asked what he attributed his call up to: “I work very hard. I know I am still young and to play for my country at my age is an honour and I will keep working hard,” he answered. Mngonyama joined Maritzburg United this season on loan from Mamelodi Sundowns and has been a regular in coach Steve Komphela’s team since he arrived, and has acquitted himself very well in defence. “It is actually the first time we have a player from the club in Bafana Bafana. This season looks good to us. We secured a sponsorship from Msunduzi Municipality, also from Hulamin for the reserve team, we managed to hold on to Komphela and made a good start to the season on the field of play. "I am hoping that there is a potential corporate sponsor out there scratching their head in deep thought,” he concluded. Kwanda Mngonyama received the news today that he has been called up for national duty with Bafana Bafana, as they prepare to battle it out in the Afcon qualifiers against Congo.